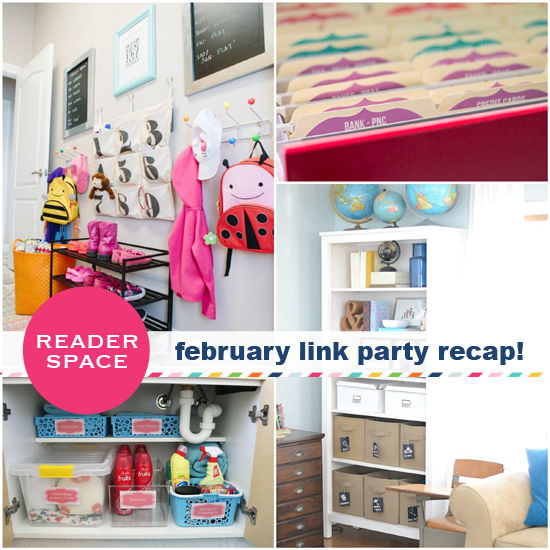 IHeart Organizing: Reader Space: February Link Party Recap! 12 Reader Space: February Link Party Recap! It is one of my most favorite times of the month again! And I know I say it each and every month, but once again, you all blew me away with your ideas, projects and talent! Even though February was a short month, you still had a lot to share! 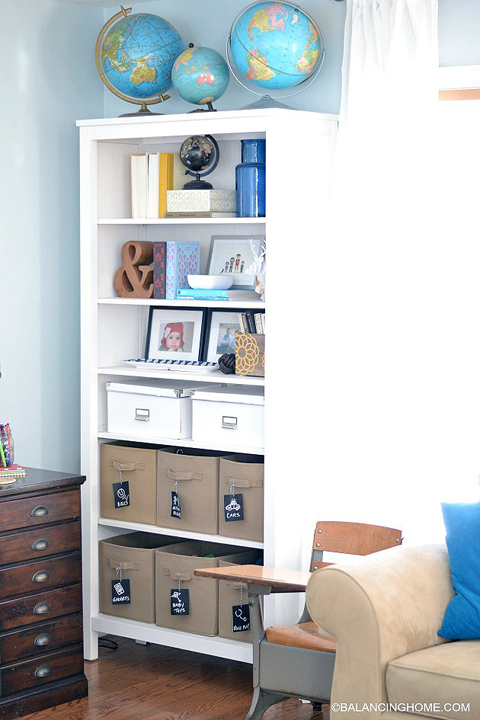 Everything from room makeovers to storage builds to filing cabinet tips. 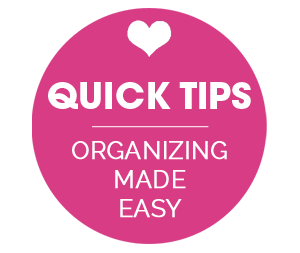 Here are a few of the highlights from the previous organizing challenge link party. 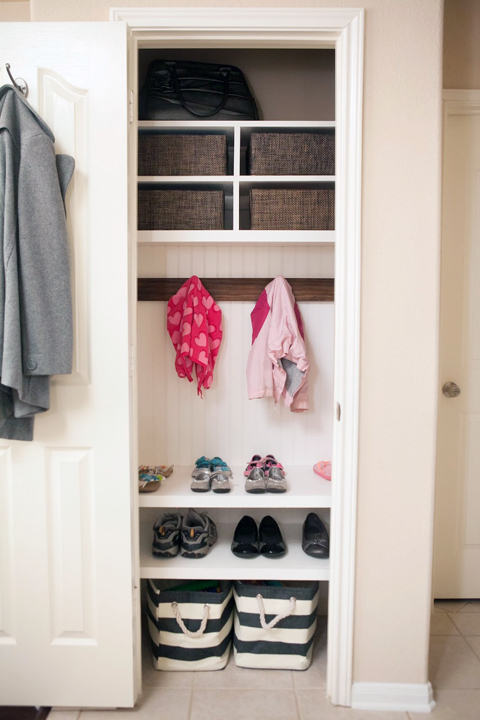 Kristin and her hubby installed an organized mini-mudroom out of a previous coat closet. The soft sided stripe bins and rail of hooks had my heart at hello! You all did what you could to maximize your space last month! Trying to figure out how to get a handle on your beauty supplies? 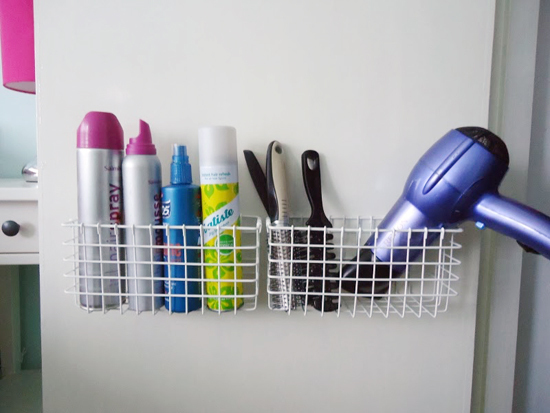 Sometimes it is just as simple as adding a few inexpensive baskets to the back of your cabinet door. 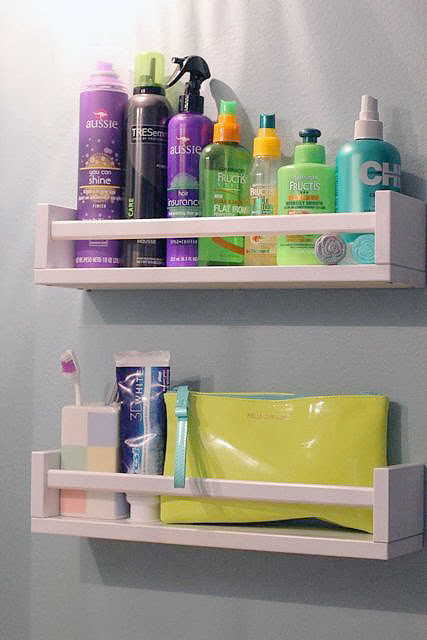 Just because IKEA calls them spice racks, doesn't mean that they don't make amazing toiletry storage! Just ask Heather who conquered her bathroom counter clutter! 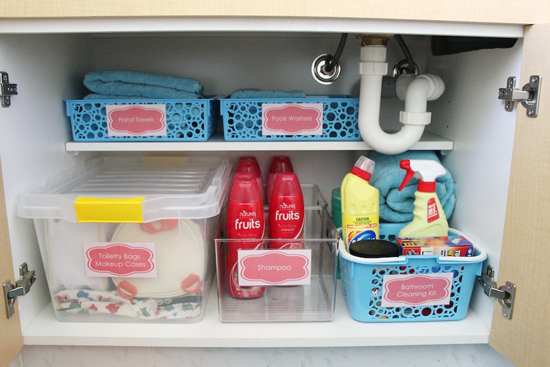 Sandie shared her process for organizing under her bathroom sink. Oh! And her labels? I love. Let's shift our focus to crafts shall we? 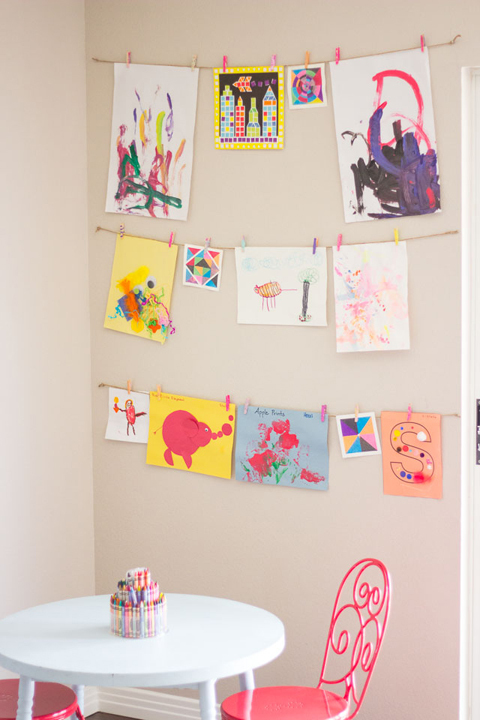 How do you display your kidlet's artwork? Haeley shares an inexpensive and playful way to show off the art that makes us happiest! Heck, they can even participate in the process of creating the display project too! 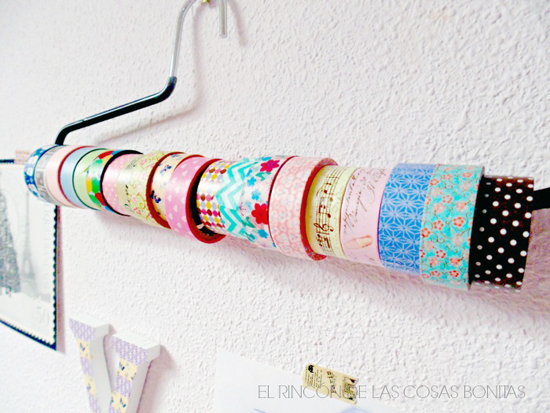 Do you have a Washi addiction like I do? I adore Victoria's solution to store it on a modified hanger which can easily hang near any crafting station. 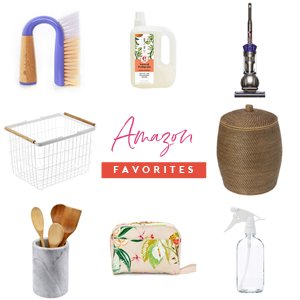 My girl, Sam, is a fan of the Martha Stewart command system, and I am a fan of all the ways she has put them to work around her home. 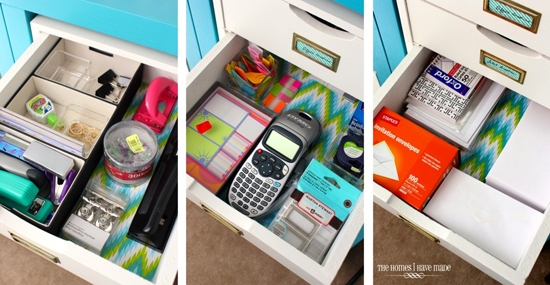 She recently installed them inside of a cabinet to create a homework station for her children. 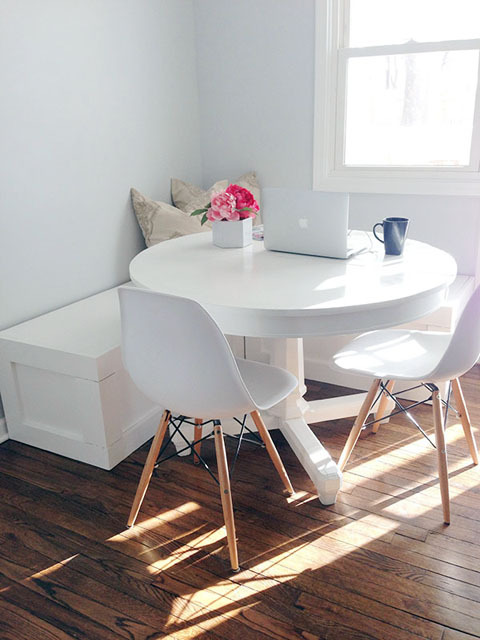 Everything in one simple spot is sure to keep study time easy breezy as well as keep any counter clutter at bay! Call me a creeper but if I am given the chance to be nosy and check out organized drawers, I take it! And once again, Megan's organization doesn't disappoint! Every last details is always considered and pretty liner can always be found! 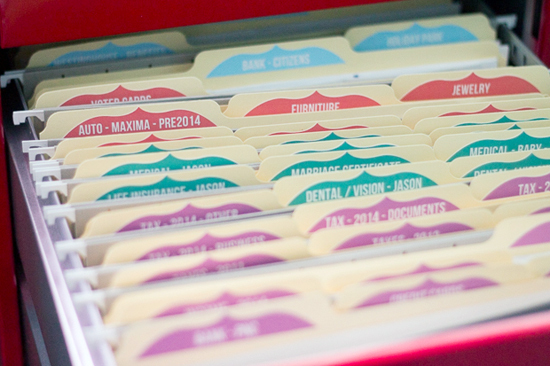 If you are about to tackle your filing cabinet, Laura Jane has all sorts of great tips! And can we celebrate her labels for a moment? I have always been a believer that style and children can combine harmoniously within the home. 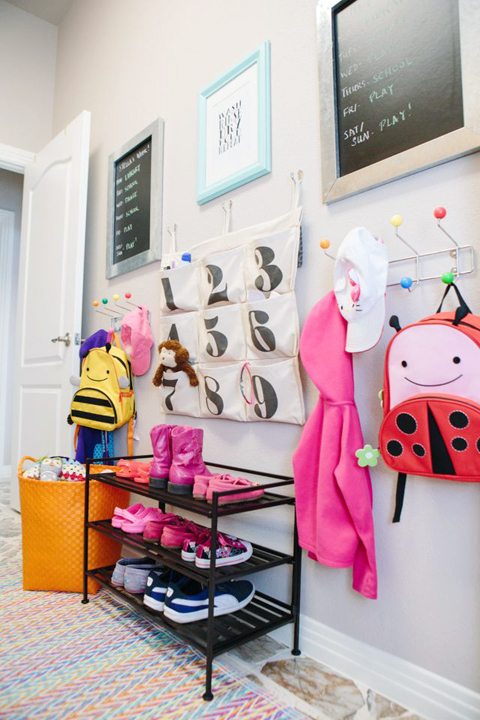 Megan shares how she stylishly conceals toys throughout her abode, within various beautiful bins and baskets. Do you love a good makeover as much as I do? Then you will want to see Andy's oh-so-fabulous kitchen! I am moving in, she just doesn't know it yet! 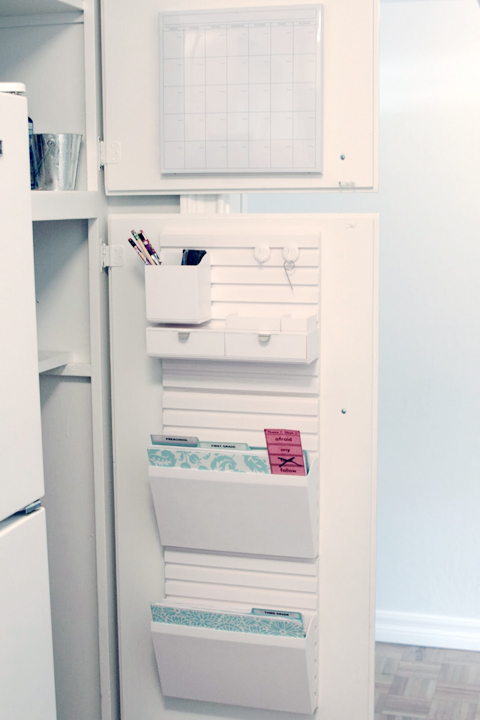 Haeley created the most family friendly laundry room/mudroom I have seen in awhile now. I love the colors and how she made the most of an empty wall. I am always excited to see when tools are being used! How amazing is this corner bench that was built Ashley and her hubby? Such a sweet setup! 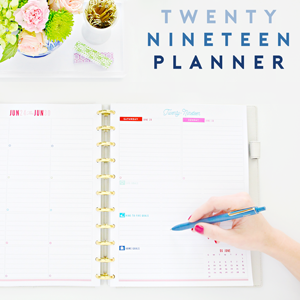 So many real projects done by fabulous folks around the blogosphere. I truly appreciate that you all put so much heart in all you do and that you take the time to share and link up each month! Your inspiration is endless and absolutely priceless! I always walk away from these recaps ready to take on my next big project with a grin, and hopefully many of you do as well! This is only a handful of the awesomeness that took place last month, find many more ideas and storage solutions here. March link party starts Friday! Call me greedy, but I am already giddy excited thinking about what I get to see next! yayyyyyy! i'm so happy to visit new blogs! thank you! <3 kisses to all friends! I just pinned three of these pictures - this post is that good! Sigh, that kitchen is gorgeous. Wish mine looked like that! Great ideas and I love what Sandie did (under the sink). This place is Always a mess! Big hug of thanks for featuring my office tower drawers! Love these monthly round-ups and it's always such an honor to be included! XO! So honored to have two of my projects included - thank you! I enjoy your blog so much Jen. 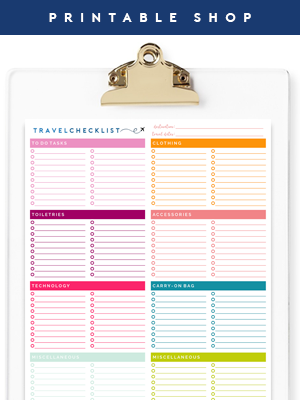 Thanks for hosting this link up - so many inspiring ideas! More awesome ideas. Love it! Thanks for featuring my kitchen! For sure you should come for cake for breakfast! Thank you for such a wonderful link party! 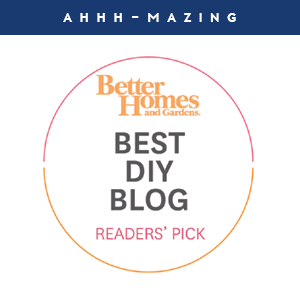 I found so many great blogs to follow now! Yay! !